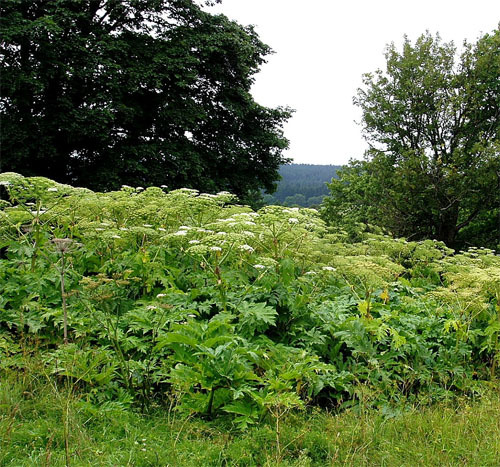 Giant hogweed is native to the Caucasus and was introduced to North America. 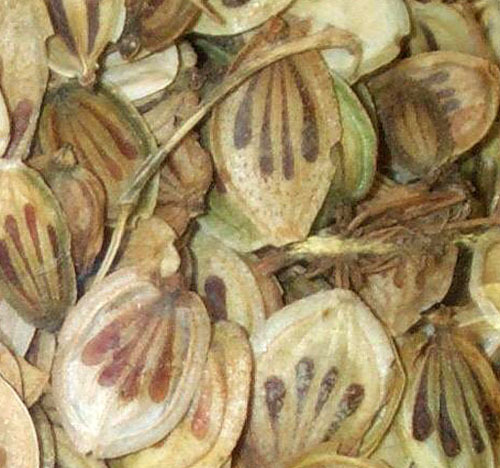 It was used as an ornamental garden plant and its seeds were used in cooking. It can out-compete native plants in moist and wet areas and poses a human health concern. Giant hogweed's sap sensitizes skin to UV radiation and upon exposure can cause painful burns and blisters that may lead to hospitalization. The single white flowers have five petals and are 5-15 mm wide. 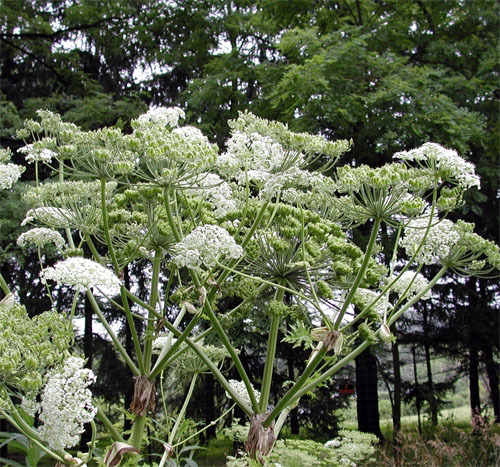 They are arranged in compound umbels with rounded tops up to 1 m diameter. 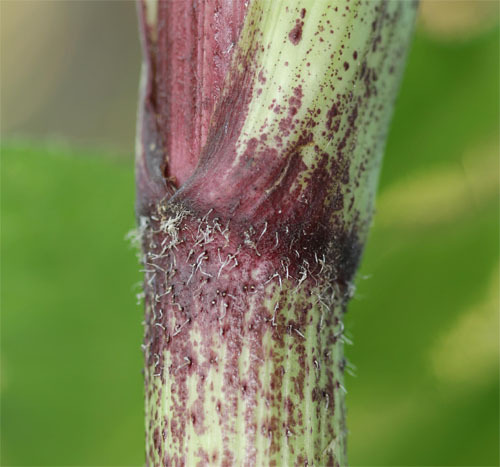 Each compound umbel has more than 50 umbel stalks. The leaves are huge and can grow up to 3 m in diameter. 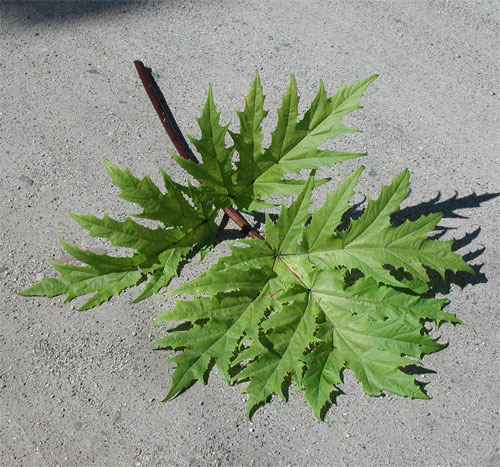 The leaf is palmate or pinnate. The Leaflets that have lobed and/or serrated edges. The thick stem is hollow with red blotches and stiff hairs. Giant hogweed is an impressive and uniquely large plant that grows up to 6 m tall.